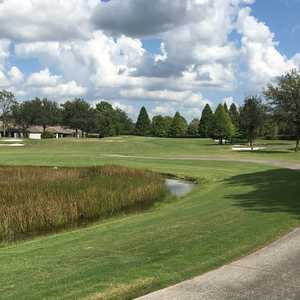 The 18-hole Lexington Oaks Golf Club in Wesley Chapel, FL is a public golf course that opened in 2000. Lexington Oaks Golf Club measures 6646 yards from the longest tees. The course features 5 sets of tees for different skill levels. Greens and fairways are bermuda grass. 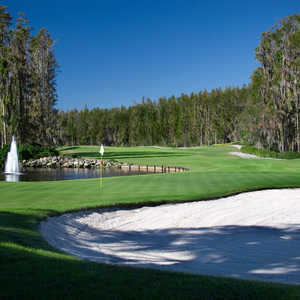 The Palmer Course is one of two championship designs at Saddlebrook Resort, located about 30 minutes north of Tampa. The 18-hole, par-71 layout -- designed by Arnold Palmer -- is more open than its sister golf course, the Saddlebrook, but the Tif-Eagle greens on the Palmer are smaller, more undulating and very tricky. The Saddlebrook Course is one of two Arnold Palmer championship designs at Saddlebrook Resort, located about 30 minutes north of Tampa. The 18-hole, par-70 layout is tighter and flatter than its sister course, the Palmer, so hitting it straight off the tee is key.